RecyclerView is like a ListView but with more advanced and powerful features, it helps to display a large amount of data in your app. 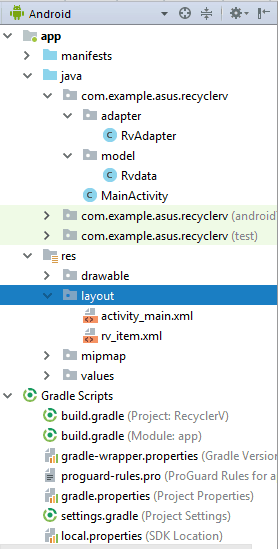 In Android RecyclerView with CardView, we can create normal lists as well as grids and style list item easily. It provides a feature to implement the list in form of horizontal, vertical and Expandable. Layout Manager is the mainly used component of a RecyclerView, it helps in measuring and positioning item views. In this post, we learn multiple things to create RecyclerView like how to use CardView, how to create an adapter class, about modal class etc. We learn this all things with the help of an example of a list of blog posts. 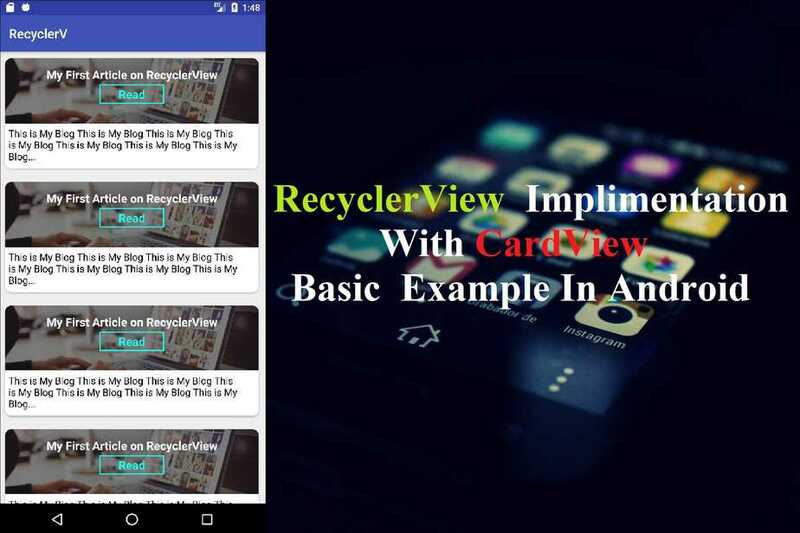 1) RecyclerView: We will use this component to display a large amount of data in a list, this is the basic and important component of this app.It provides a feature to implement the list in form of horizontal, vertical and Expandable. 2) CardView: This component helps in creating a good looking UI, we use it in this app to design RecyclerView item.With the help of this component, we can work on shadow, elevation, corner radius etc. * Created by  techsolpoint.com on 3/18/2018. 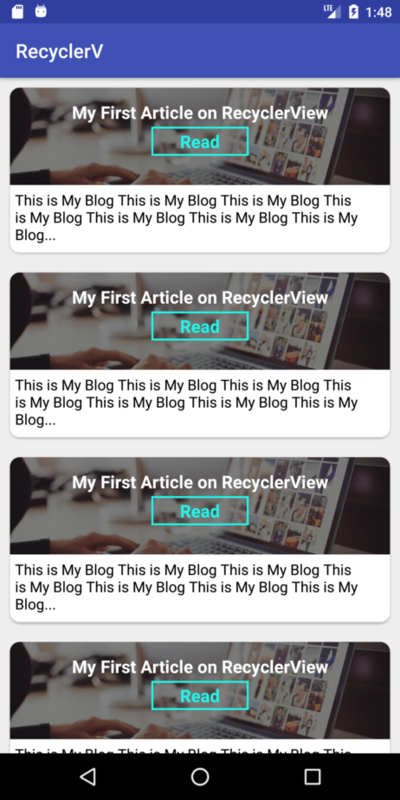 android:text="My First Article on RecyclerView"
* Created by techsolpoint.com on 3/18/2018. I am new in android. Like you see some more post related to this. Can you make it more descriptive like why we use certain commands. Why you create certain variable and all. Thanks so much pertaining to giving us an update on this matter on your website. Please realize that if a brand new post becomes available or if perhaps any modifications occur about the current posting, I would want to consider reading more and finding out how to make good usage of those approaches you share. Thanks for your efforts and consideration of other individuals by making this blog available.